Life for Janice was no different than that for any other teenage girl until she began to question reality. She found the world wasn't always as it appeared. Janice Carter had been raised to be a good Christian girl. She found that religion to be much more than she imagined when Lucifer approached her in the park Her life changed forever after rising from the dead with the ability to walk in the worlds of life and death. Janice found people and things she had always trusted to now be the enemy. Her world was turned upside down when the four Horsemen of the Apocalypse appeared to spread war and disease around the world. Families turned on each other, neighbor turned on neighbor.With the plague rapidly spreading through her city, she had to, somehow, convince the government and citizens the source was not from this world. Janice was the only one with the ability to defeat this foe. Family and friends looked to Janice, a simple teenager, for solutions. She carried only one weapon, the truth. The only way to save the world was to convince people to save themselves. 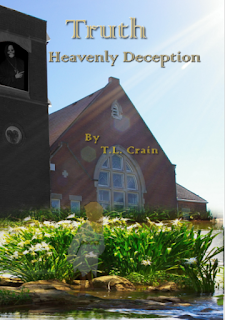 Follow Janice and her friends through the Heavenly Deception trilogy as Janice and her friends battle the gods. Sometime after mankind began its migration out of Africa and landed in Europe, girls began to die of a mysterious illness. They soon realized that all girls born with a strawberry birthmark just below the right knee, died soon after their eighteenth year. The deaths were so horribly painful that a tradition developed where those girls were killed before the onset of the disease. In time those girls became a treasure of society and were treated like royalty. As the 19th century arrived, nations tried treating the illness with modern medicine, but in the Democratic Republic of America, they refused to give up their long held traditions. 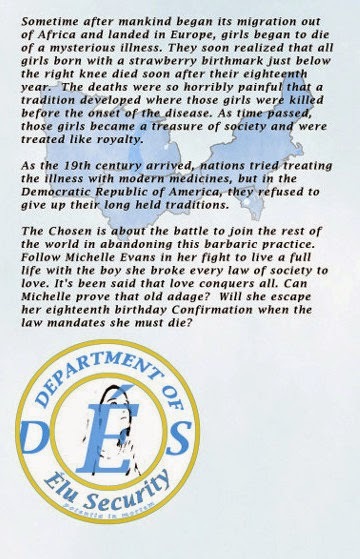 The Chosen is about the battle to join the rest of the world in abandoning this barbaric practice. Follow Michelle Evans in her fight to live a full life with the boy she broke every law of society to love. It's been said that love conquers all. Can Michelle prove that old adage? Will she escape her eighteenth birthday Confirmation when the law mandates she must die? 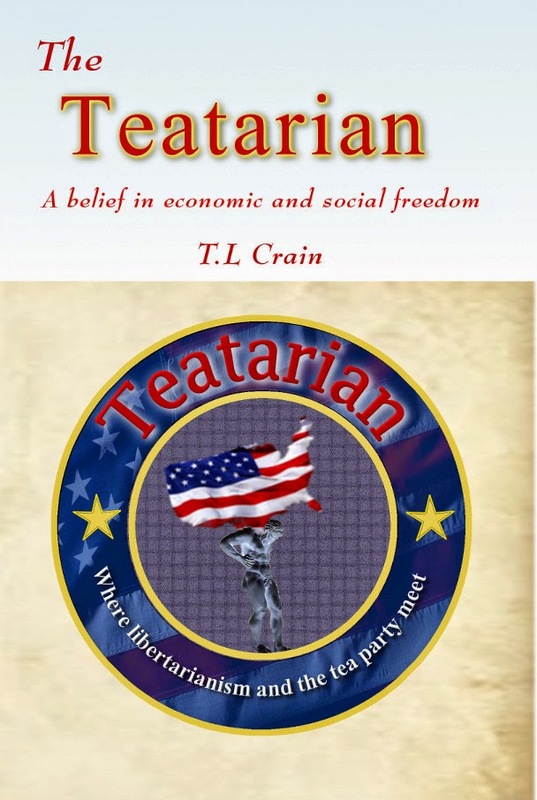 A Teatarian is someone who seeks the most liberty as possible with the least government as possible.
. The world of economics can sometimes be confusing, but when broken down to Chickens, Cows, and Money, it becomes a lot simpler. Ever heard of rehypothecation? Most people haven't, but it's important to our future. Do you know where the Pledge of Allegiance to the US flag came from? You might be surprised by it's origin. Do you know there was more than one copy of the Gettysburg Address? Learn about the Freedom Tax that can eliminate the IRS and limit federal power. Learn all of this in The Teatarian, a compilation of past articles and new material.